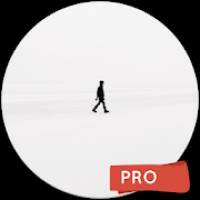 Minimal™️ Wallpapers 4K Pro HD Backgrounds is a Photography android app made by Motion Wallpapers that you can install on your android devices an enjoy ! Are you a fan of minimal designs? Looking for extremely high quality wallpapers with crisp and clear objects for display? Experience top minimal wallpapers that are wallpapers with single objects. These objects have a very crisp and clear images that make the objects a pleasure to watch. With the “Minimal™️ Wallpapers 4K HD Backgrounds”, you can give a new look to your phone everyday with minimal objects backgrounds. You can not only browse these HD backgrounds or minimal wallpapers but also choose favorites so that you can bookmark some backgrounds for later. Minimal™️ Wallpapers 4K HD Backgrounds includes a very good collection of HD backgrounds that are inspired by minimal objects and items near you. If you’re a lover of the minimal backgrounds, you might love to have these minimal wallpapers in HD on your phone so that you can make you phone look different everyday with high quality minimal wallpapers from the “Minimal™️ Wallpapers 4K HD Backgrounds” app. “Minimal™️ Wallpapers 4K HD Backgrounds” is a unique app with the best collection of top HD Minimal wallpapers where you can not only browse high quality wallpapers of minimal objects but also wallpapers that are extremely crisp and clear to watch. The “Minimal™️ Wallpapers 4K HD Backgrounds” app has a beautiful interface with simple user controls that makes browsing minimal wallpapers extremely easy and convenient. This “Minimal™️ Wallpapers 4K HD Backgrounds” app is available for free. So, what are you waiting for? Give your phone a new look everyday by customizing the phone wallpaper with the top minimal wallpapers.